The Kunsthaus Dahlem attends to the art of the german post-war modernism and presents sculptures from 1945 to 1961. 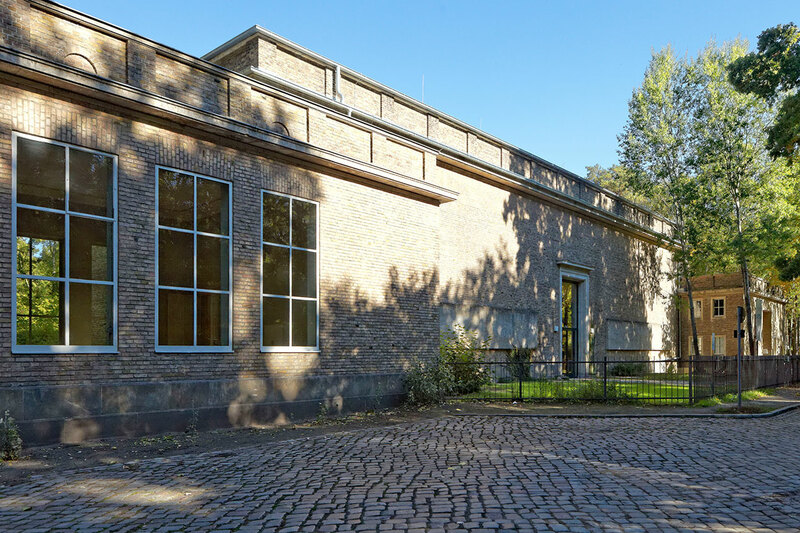 It opened in summer 2015 and is located in the former State Atelier of the sculptor Arno Breker. More information about the history of the building. We have long awaited the opening of our café, now on the team of CAFÉ K serves coffee, cake and a small but fine selection of daily specials in our Steinatelier and on on our terrace. Looking forward to seeing you there. The exhibition Pictorial Process. Sculpture and Photography by Fritz Kühn, finished on June 18th, was frequented by many visitors from all parts of Berlin. We are priviledged to have the sculpture „Bewegt-Rotierend“ from June 30th as Permanent Loan at Kunsthaus Dahlem. With kind support of the Fritz-Kühn-Gesellschaft e.V.